Tomorrow is not only the start of a new year but also my four year blogiversary. It seems like a looooong time ago now that I was dared into starting a blog. 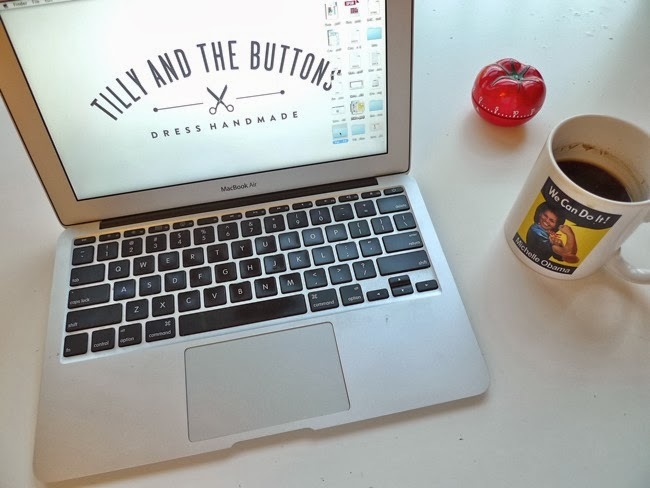 I had no clue how to write a blog, and no idea how much it would change my life – I simply wanted to share my passion for dressmaking with people who didn’t look at me like I was completely crazy (“MAKE your own clothes?! Why don’t you just buy them like normal people?”). I remember the sense of elation I felt back then of first connecting with other people online who share my interest; thoughtful, fun and generous people who spur each other along to keep creating. 494 blog posts and over five million views later, and I am still excited at the opportunities that blogging can bring to make meaningful connections, and I am still in awe of just how wonderfully supportive the online maker community can be. So I just want to take the opportunity of the eve of both the new year and my blogiversary to say a heartfelt THANK YOU to everyone who has been part of my blogging life, whether as a reader, commenter, contributor or fellow blogger. You inspire and motivate me to keep doing what I do, and it’s brought me so much pleasure. This last year has been a particularly exciting one for me, in which my blog has brought me lots of great opportunities. 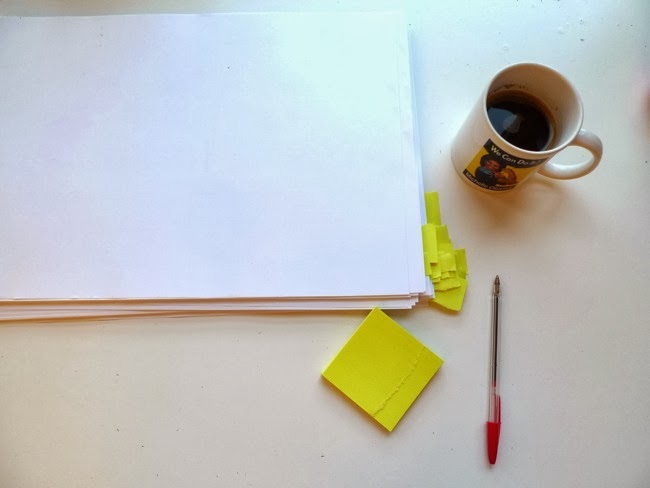 I’ll be honest, it hasn’t always been a smooth ride, and there was a time this year when I nearly quit blogging altogether. At times like that you have to shut out all the noise and remind yourself why you do what you do. For me, I do what I do because I love making stuff and want to inspire other people to make stuff too. It’s as simple as that, nothing grand, and certainly nothing worth stressing over. Remembering this helped me pull it together and keep going. And I’m so glad I did. As a workaholic, I have a compulsion to jump from project to project pretty quickly, always thinking about what I’m going to do next. One of my resolutions is to slow down a little and be more mindful of what I have already done and am doing. So in this spirit I want to take the opportunity of the end of the year to reflect on the Good Things that 2013 brought me. 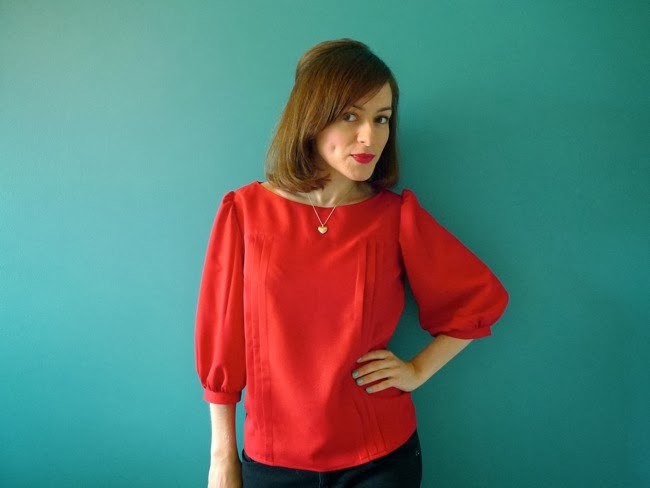 After months of work, I released the Mathilde blouse sewing pattern for instant download. It was nerve wracking to put my pattern out there, and so rewarding to see all the lovely things that you’ve made with it! I still can’t get over how many people have bought the pattern. The Miette skirt followed, based on an idea I’d been dreaming about for ages of the perfect sewing pattern for beginners that has no fiddly fastenings and is super easy to fit. I also released the Marielle skirt in Sewing World magazine (and to the people who have been asking for that one, I do plan to release it wider at some point, it just takes a lot of work so please bear with me!). 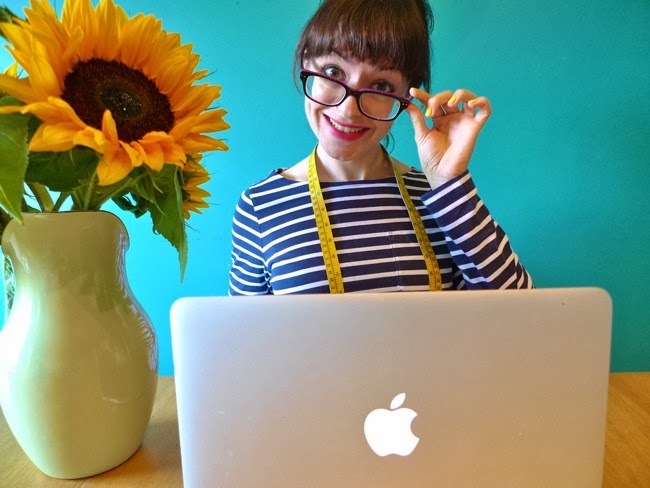 Having designed and taught courses in my day job for so long, it’s been brilliant to combine that experience with my passion for DIY dressmaking. 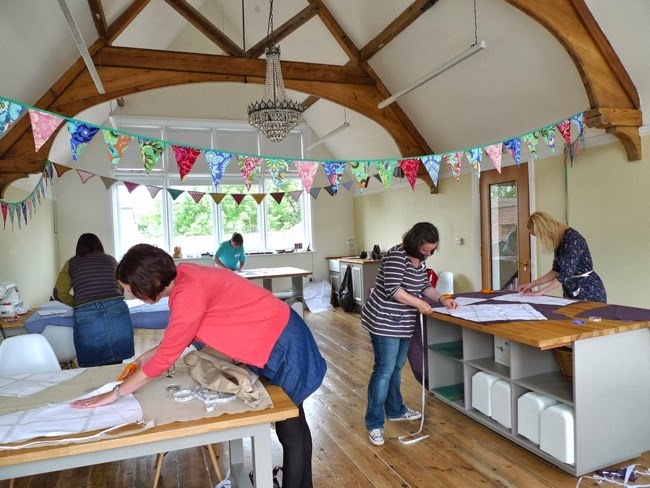 I love teaching – it’s so rewarding to watch people get stuck into sewing and to see their confidence grow as the class progresses. 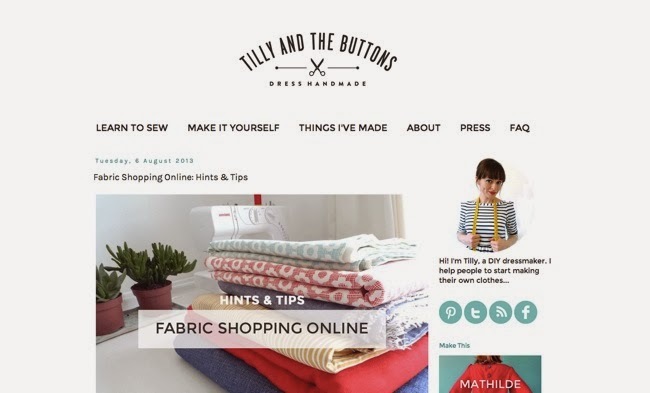 Upcoming classes in London include ‘Learn to Sew: Tilly’s Bow Belt’ at The Village Haberdashery on the evenings of 16th January or 27th February, and ‘Sew the Miette Skirt’ at The Thrifty Stitcher on Sunday 9th March. 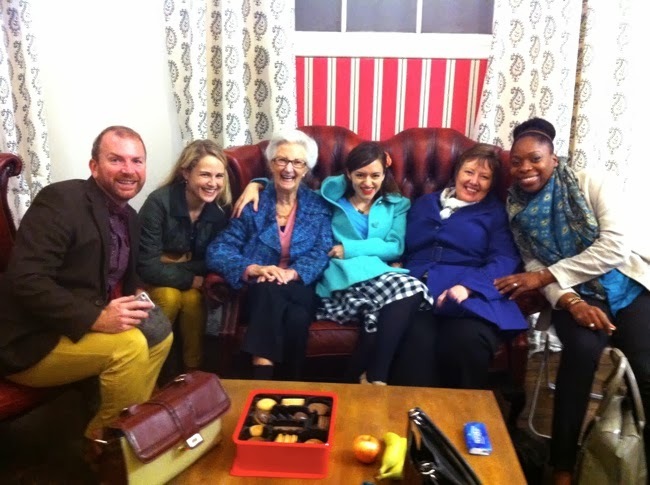 In April this year The Great British Sewing Bee hit our screens, and over night sewing suddenly seemed to become an acceptable hobby in the UK. We had such a laugh filming the show, and the experience of being part of a project like that and suddenly thrown into the spotlight was eye-opening and has taught me so much. 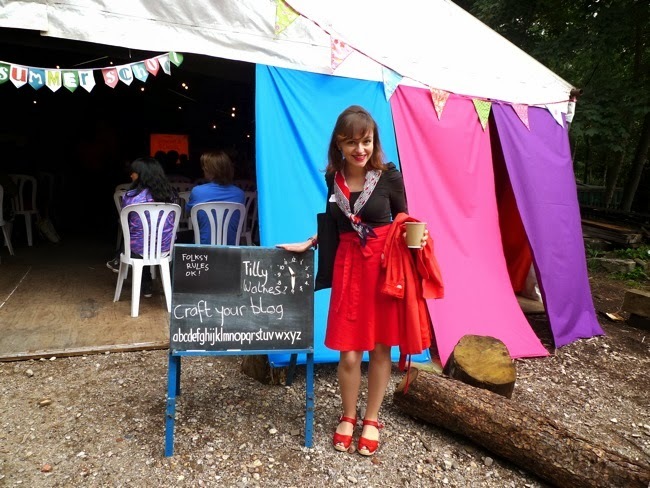 In the Summer, I travelled to Sheffield to give a talk called 'Craft Your Blog' to 200 craft business owners at the amazing Folksy Summer School (you can watch a video of my talk here). More recently I was on a panel at an Enterprise Nation event in the British Library, speaking to people who want to turn their hobby into a business. I love doing these sorts of events, it’s great to get out and about! 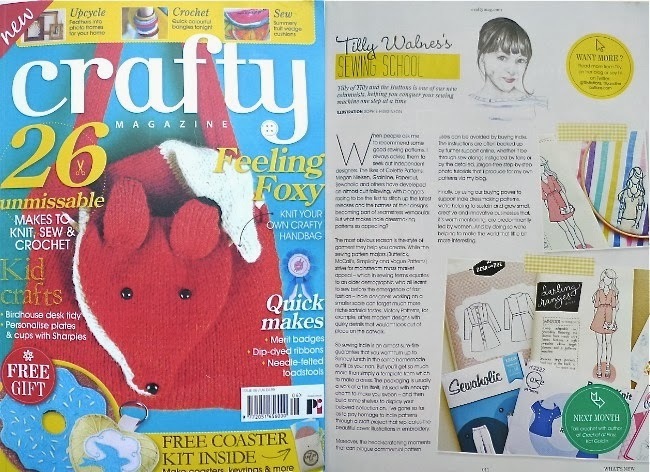 I loved Crafty magazine as soon as I first saw it – a publication for modern makers, creativity without the twee. So being given a regular column, alongside luminaries such as Mr X Stitch and Sarah “Craftivist” Corbett, is such an pleasure. If you haven’t already seen this magazine, you need to check it out. People do give you funny looks when you say you’ve made friends on the internet, but more fool them! 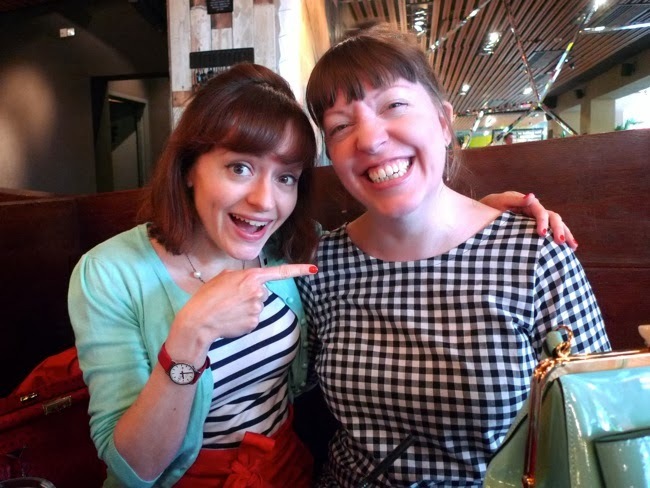 I've met some lovely people this year, both online and offline, including through the #SewingSocial Twitter chat (shall we do another one early next year? Any suggestions for a discussion topic? ), fabric shopping/swapping meet-ups, hopping around the internet and discovering new blogs, ooh and Christine Haynes popped by from LA. Looking forward to meeting more of you next year! And that’s about it. Phew! The process of writing this all down has really brought home just how busy I’ve been in 2013. And now I’m exhausted! So I’m off to have a sherry, and if you’ve read this far, you definitely deserve a sherry too. Thanks for reading, and wishing y'all a very happy 2014!